Dr. Cabell graduated from the University of Michigan School of Dentistry in 1980 and has practiced in Hartland for 35 years since. 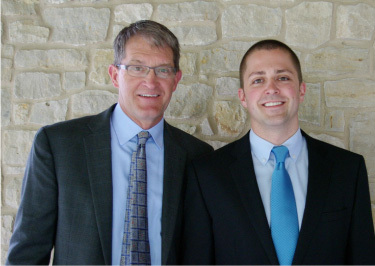 He established Cabell Family Dental Care in 1992 and has pursued a variety of interests in dentistry, taking postgraduate courses in cosmetic dentistry, endodontics (root canals), oral surgery, implants and pediatric dentistry. John is active in his local dental society and has been a long time participant with the State of Michigan Donated Dental Services program. He and his wife Debbie have two sons, Doug who works here now and Brian who is getting his MBA from University of Illinois in April 2015 and will start soon thereafter with Fiat Chrysler Automotive Group . John and Debbie live on the outskirts of Hartland with their two Cairn Terriers, Gracie and Chloe, a cat named Syd and several fish that have not been named. Dr. Cabell’s other interests include fish keeping, cycling, golf and paddleboarding. Dr. Doug Cabell obtained his bachelor's degree in biology from the University of Michigan in Ann Arbor. He then returned to the University of Michigan, where he received his Doctor of Dental Surgery in 2011. During training, he developed an interest in surgery and spent multiple weeks living and interning at the Loyola University Medical Center, Oral and Maxillofacial Surgery Department. Wanting to further his education, he spent a year working in a busy community clinic, providing care for an underserved population in Northern Michigan. He then spent two years in private practice in the Chicago area. He takes pride in making sure each patient's concerns are heard and in making every visit as comfortable as possible. 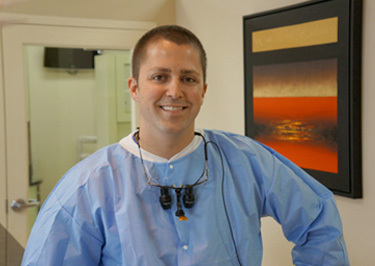 Dr. Doug Cabell maintains dental licences in both Illinois and Michigan and is a member of the American Dental Society of Anesthesiology, Chicago Dental Society, Illinois State Dental Society, and American Dental Association.